Home / MOVIE TRAILERS AND INFO / Caesar's Rule Begins in "Dawn of the Planet of the Apes"
Caesar's Rule Begins in "Dawn of the Planet of the Apes"
If there is one anticipated movie sequel this year that is going to be shown that I would really want to watch, it's the sequel to the 2011 film, "Rise of the Planet of the Apes, (movie review here)" where the story to the 1968 film "Planet of the Apes" could have been originated. Luckily, this 2014, the movie franchise is set to have a sequel, entitled "Dawn of the Planet of the Apes." In here, Caesar will definitely be a superior intelligent creature. If you have watched the last scene to the "Rise of the Planet of the Apes" movie, the revolt of the apes has only just begun! Set 15 years after the events that happened in "Rise of the Planet of the Apes," a growing nation of genetically evolved apes led by Caesar is threatened by a band of human survivors of the devastating virus unleashed a few years earlier. 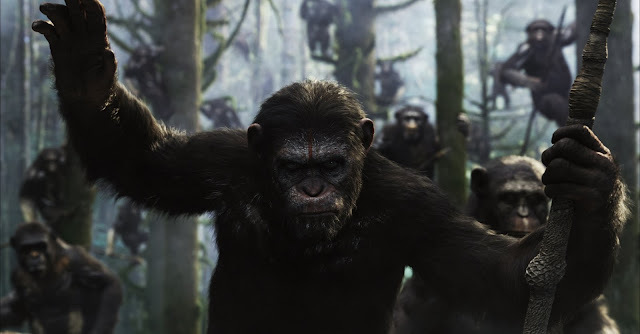 "Dawn of the Planet of the Apes" takes us to revolution where the humans are about to regain and rebuild the world they have previously known. They have reached a fragile peace, but it proves short-lived, as both sides are brought to the brink of a war that will determine who will emerge as Earth’s dominant species. Directed by Matt Reeves, the film stars Andy Serkis, Jason Clarke, Gary Oldman, and Keri Russell. It is not sure though if James Franco will reprise his role as Dr. Will Rodman in this sequel. “Dawn of the Planet of the Apes” will open July 2014 in the Philippines from 20th Century Fox to be distributed by Warner Bros. Below is the teaser movie trailer of "Dawn of the Planet of the Apes."